I started this quilt several years ago, but wasn’t happy with the results, so I put it away, out of sight. In the meantime, I purchased a new sewing machine, Janome, to replace my Singer that would eat my fabric, and make nothing but a mess. I dug this project out last summer and after several hours, finished it. It’s certainly not perfect, but I love it. It hangs in my living room above the TV area and makes me smile every time I look at it, because while it took me several years, I finally finished it! 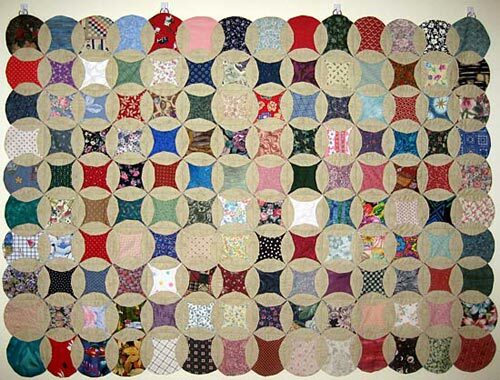 that is a very cool quilt! Oh what a wonderful story! It looks awesome. oh mishka…this work is absolutely spectacular…and yes…mom sews with a janome…it is la creme de la creme!